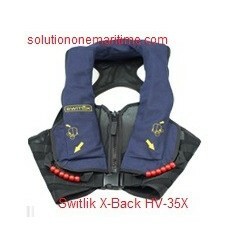 Switlik Aviation Life Jackets There are 3 products. 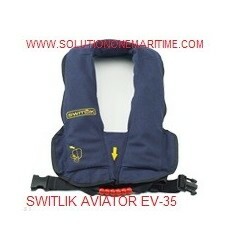 Switlik Aviation Life Vest Aviator EV-35 Blue Whether its a helicopter, fixed wing plane or sea plane the Aviator is a lightweight constant wear life vest providing superior safety and comfort for flight over water for both passengers and pilots. 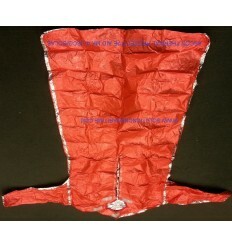 Switlik Aviation Life Vest X-Back HV-35X Blue The Switlik X-Back™ Air Crew Vest is a newly configured, lightweight crew vest that is a quantum leap in comfort and durability over its predecessor the HV-35. The aptly named X-Back™ has a unique, proprietary cross back strap configuration, with breathable mesh Molle style vest.